Marilyn Simons, Gov. 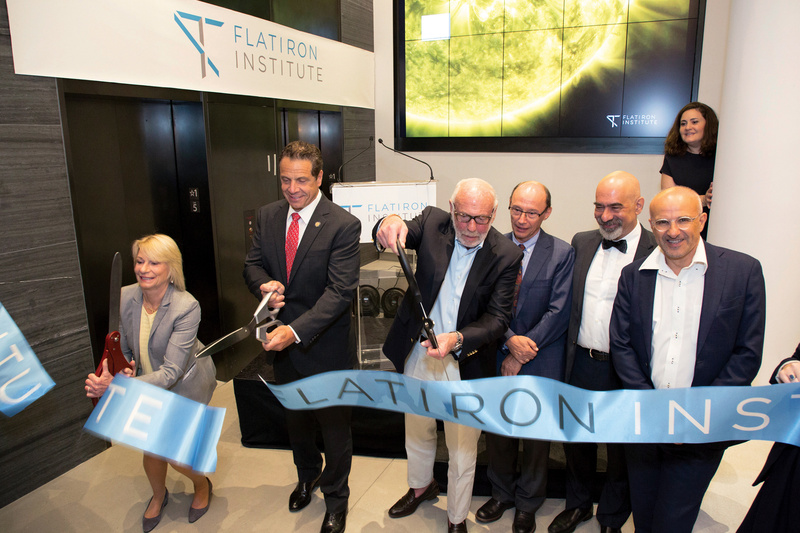 Andrew Cuomo and Jim Simons cut the ribbon during the Flatiron Institute’s inauguration ceremony. Also pictured, from left to right, are center leaders Leslie Greengard, David Spergel and Antoine Georges. Within a brisk five-year period, the Simons Foundation’s new Flatiron Institute has grown from the germ of an idea floated at a foundation scientific retreat in 2012 to a large, bustling hub for developing computational methods. In a ceremony on September 6, 2017, Simons Foundation co-founders Jim and Marilyn Simons and keynote speaker New York Gov. Andrew Cuomo joined Flatiron Institute and Simons Foundation leaders to dedicate the new research division of the Simons Foundation. The event, held in the institute’s newly renovated lobby, celebrated early progress and hopes for the future. The dedication event capped a year of hiring and startup milestones for the growing institution. Following the ceremony, Cuomo toured the institute’s working areas and spoke with Flatiron Institute staff scientists about their work. Although several floors of state-of-the-art workspaces had already emerged from behind construction walls, remodeling continued in the rest of the building. 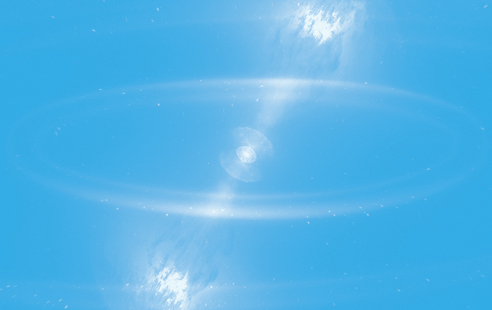 In the offices, researchers have already established the institute’s reputation with innovative software releases and important scientific discoveries. The Flatiron Institute’s New York home offers unique opportunities for collaboration, Spergel says. “It’s a place where we’re surrounded by great universities and where we have the opportunity to partner with them.” In fact, many senior researchers within the institute have joint appointments at nearby universities, including New York University, Columbia University, Princeton University and Stony Brook University. “Our unfair advantage is New York,” he says. The institute began as the Simons Center for Data Analysis (SCDA), launched in 2013 under Greengard’s leadership. 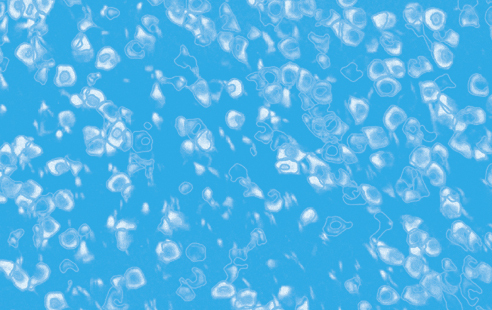 SCDA focused on analyzing the increasingly vast datasets produced by biological research. With the success of this venture, its scope expanded. In 2016, SCDA transformed into the Center for Computational Biology and became the first center of a new organization: the Flatiron Institute. That same year, the Center for Computational Astrophysics launched and began modeling the cosmos and analyzing astronomical datasets. The youngest center, the CCQ, began operations in September 2017. Led by Georges and co-director Andrew Millis, the center develops new numerical and analytical methods to solve the quantum many-body problem and uses the solutions to predict the behavior of materials and molecules. The Flatiron Institute will name a fourth and final center — focusing on a soon-to-be-decided discipline — in 2018. 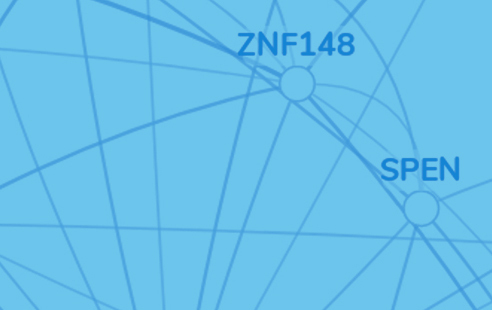 A unique and crucial part of the institute’s framework is the Scientific Computing Core, which develops the organization’s computing infrastructure and collaborates with Flatiron Institute scientists to create and implement new computational and statistical tools for use across the scientific community. 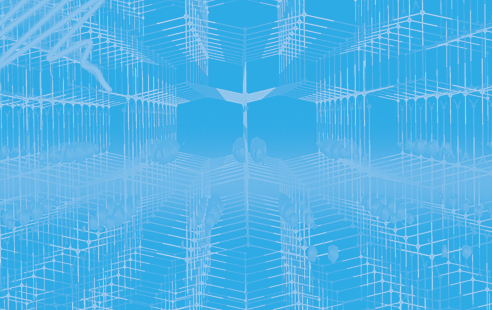 Co-directed by Nick Carriero and Ian Fisk, the core hosts an on-site computing cluster comprising 7,000 cores. Two off-site supercomputers at Brookhaven National Laboratory and the San Diego Supercomputer Center at the University of California, San Diego, lend additional processing power, which will continue to grow. In aggregate, Flatiron researchers currently have access to 28,000 processor cores hosted over the three computing facilities, a variety of specialized resources — including general-purpose graphics processing units and visualization walls — and 10 petabytes of storage space. “The support of the Simons Foundation permits us, as best we can, to ensure that the research community is only limited by their imagination and their initiative, and not by the computing resource requirements and technology,” Fisk said during the dedication ceremony. Flatiron Institute researchers don’t have to apply for grants, freeing them to pursue long-term projects that might not be possible if continued funding were uncertain. The financial model also means that software developed at the Flatiron Institute is freely available to all scientists and is built to last, receiving long-term support and continued development. That’s in contrast to other scientific software that typically is abandoned when funding runs dry or the student responsible for the code graduates. The institute’s rapid growth has already shifted the staff composition of the Simons Foundation as a whole, which, a short time ago, focused only on grant-making. The addition of an in-house research organization has influenced other divisions of the foundation, notes Simons Foundation President Marilyn Simons. Institute scientists regularly mingle with fellow foundation employees at lectures, lunches and staff meetings. New York Gov. Andrew Cuomo and Simons Foundation co-founders Jim and Marilyn Simons dedicated the Flatiron Institute on September 6, 2017.